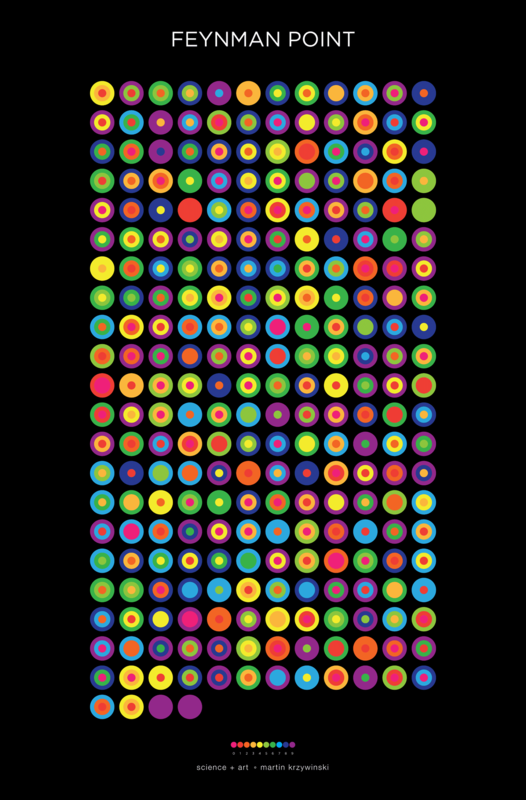 For the 2014 `\pi` day, two styles of posters are available: folded paths and frequency circles. 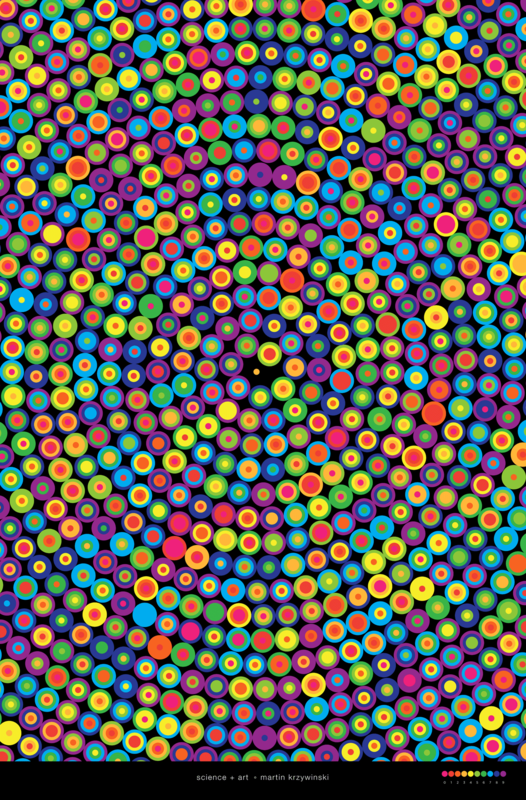 The folded paths show `\pi` on a path that maximizes adjacent prime digits and were created using a protein-folding algorithm. 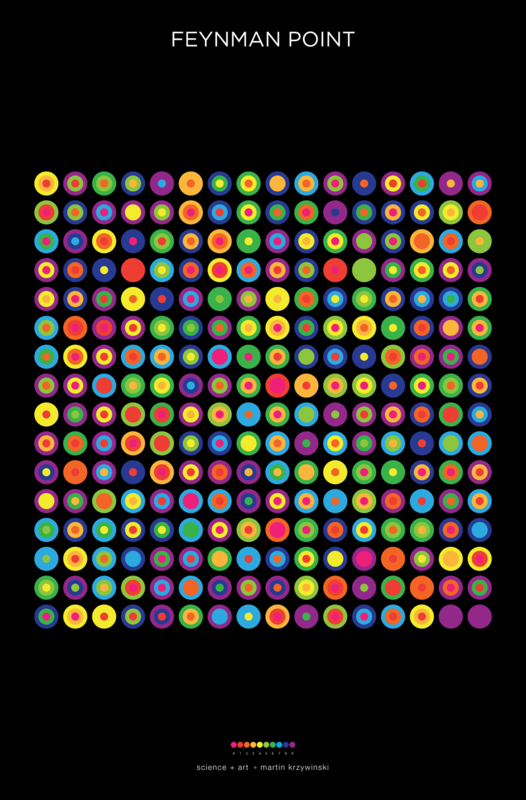 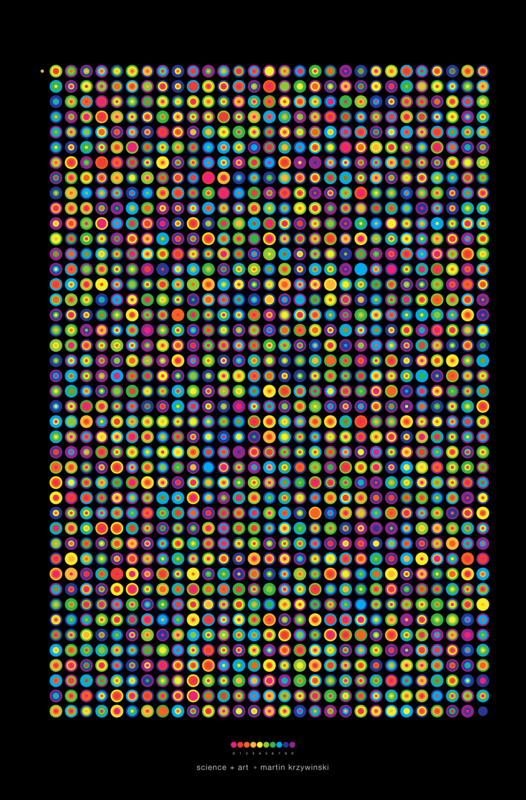 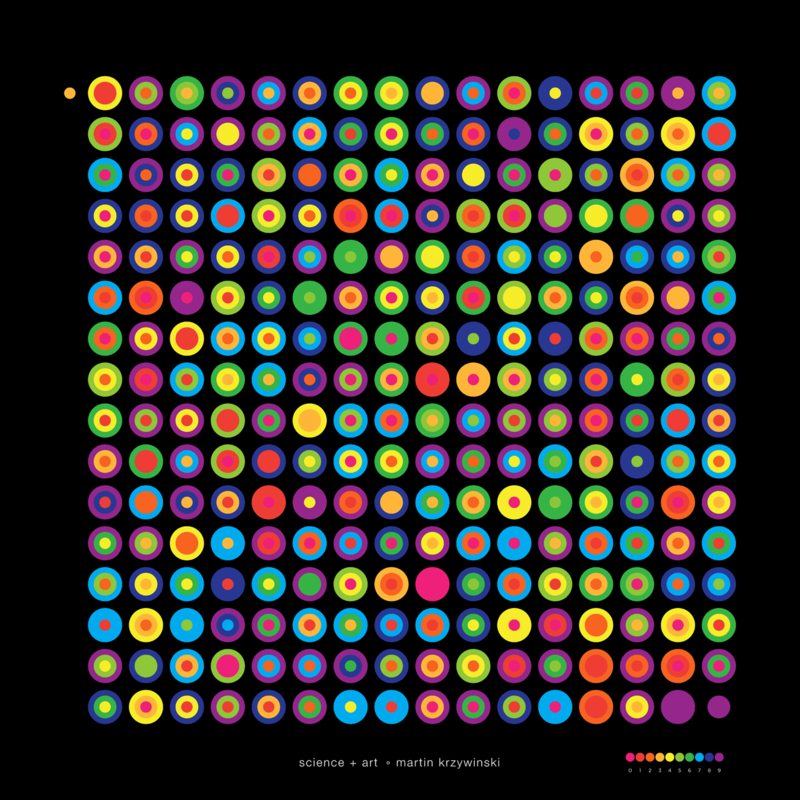 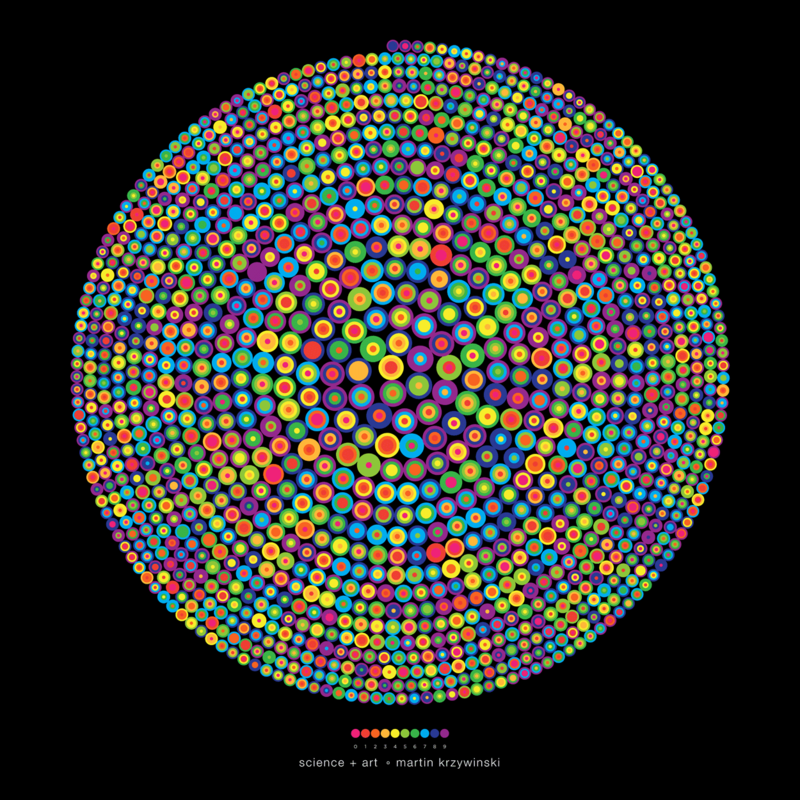 The frequency circles colourfully depict the ratio of digits in groupings of 3 or 6. 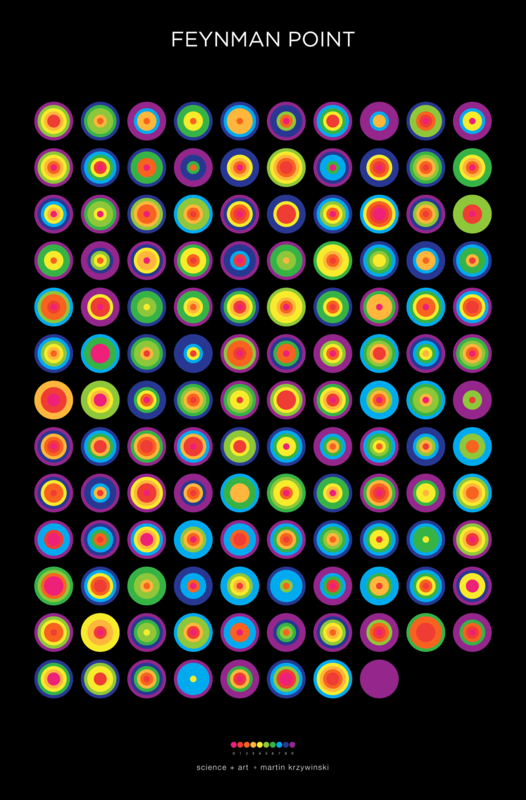 Oh, look, there's the Feynman Point!